Hi all! My name is Shannon. I'm a single mother of two young adult daughters and a Memay to one Little Man and one Little Miss. I work as a writer from my home in Orono, Maine, and as a Front Desk Agent at an inn in Bangor. Writing is my life, second only to my daughters and grandchildren. I enjoy writing nonfiction, as well as fiction in a number of genres. 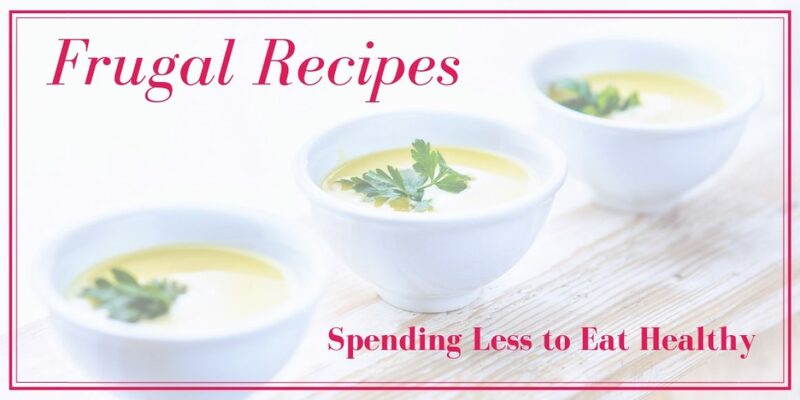 In the past I’ve created posts explaining the USDA Food Plan Costs so you can get an idea of how much people spend for food individually and as a family. While I do know a few people who spend less than the thrifty food plan, this seems to be spot on most weeks for me. I do aspire to the thrifty food plan, which was $38.00 February 2019, but sometimes I go above, spending closer to the low-cost plan of $47.20 a week. Mind you, I do buy some organic, non-gmo items, and I’m still learning to do this in the most affordable way possible. I want to point out that I do a stock up trip with my tax refund where I spend an additional $100 to $150 in one trip, but the food lasts a long time. During years when my parents grow food, my overall average has gone down significantly. When I have a place where I can garden I plan to grow most of my own produce and herbs, but I am not there yet. I grow some of my own organic herbs and dry or freeze them for later use. Parsley and mint are two of them. I have chives growing out at my mothers. When I visit, I cut some and bring it home to freeze. This is an absolute freebie for me. I make some things from scratch, such as Paleo pizza crusts, muffins, and tortillas, as well as the occasional dessert. I make my own fruit sauces. I coupon minimally. It’s hard to find coupons for most of what I buy. I try to buy when on sale. I accept fresh produce and eggs from anyone who wants to give them to me. I freeze small bits of food to add to smoothies, soups, and other things later on. I snag good buys at farmer’s markets at the end of the day/season. I comparison shop. Sometimes, but not always, I can find better deals online. What I don’t mind spending extra money on. Organic, Maine or Vermont-made maple syrup and cream. Organic, locally canned pickled beets when my parents don’t make them. Organic olive oil, coconut oil, and ghee. I don’t buy a lot of these more expensive items, but I do like to have them on hand once in a while. Sometimes I like to make something special. How does your spending compare to the amounts given for February? Tuesday was such a nice day. I had so much fun at the Discovery Museum with my grandchildren, my son-in-law Devan, and my daughter Skye and her boyfriend Ryan. My only wish would have been that the kids mother could have been there, rather than at work. Little Miss also enjoyed the afternoon out. She is only eight months old, but she had so much fun touching things. She’s quite tactile. The only thing she really didn’t like was the feel of the tree. Other than that, she liked touching different types of leaves and feeling the other textures. Earlier this month I learned I had won a $25 gift card for Amazon from my employer for posting in our closed Facebook group. Perfect timing! On the first I’m going to be doing a detox, and the gift card bought me two bags of protein powder for that purpose. Organic pea powder to go in my juices/smoothies. I’m doing the Total Wellness Summit this week, and then next month changing things up. My body needs a detox, and I need to fix some gut issues. Plus I’ve got to get back on track with my weight and fitness goals. Who’s with me!? The last two weeks each saw a day that was simply gorgeous, so I have started to get the longer walks in again. I don’t get to do that in the winter because it’s so hard to breath on the coldest days, and it is not really safe to walk in a lot of areas. The last couple of weeks I’ve been doing more sitting than normal though, with all the virtual summits and conferences I’ve been taking notes on. It will all pay off in the long run, though. I’ve added deep breathing a few times a day, I’m walking a bit more and planning to walk even longer distances within another month,I am doing more yoga, and upping the leg, arm, and core exercises. I’ll be tweaking how I go about doing everything, but I am getting there. As for nutrition? I’m eating lighter fare more often than not right now, I’m going to do the detox, then 90% of what I eat will be Whole30/Paleo. It has to be that way if I want this weight gone, and I do! I hope you’ve been following along on the blog. The newest items are lighter and very nutritious. I also wanted to remind you about some other types of recipes that will help you to eat and drink lighter this spring. Not sure if there is an interest here on the blog to follow along with the weightloss and fitness goals. I’m keeping a journal of all I learn and do, if anyone is interested. Just let me know by commenting on this post or emailing me at shannonlbuck@gmail.com and I can start a new category or page. I know the struggle people are going through to get healthy. Finally bought myself a cheese board! I’ve been wanting to for a while now. At some point I want to have my daughters over for some family time, and this will be a big hit. Who wouldn’t want to share the deliciousness with loved ones? The combinations of foods to be placed on a cheese board seem endless, and I promise you I will be trying many. I might even share some more with you here on the blog. I can’t wait to use this at future get-togethers with family and friends. Try to use organic foods when possible. Rinse and dry produce before use. NOTE: I prefer goat cheese over that made from cow’s milk. I have an intolerance to cow’s milk, and am so happy to have an alternative cheese. Regardless, I don’t eat cheese all the time. It’s a real treat for me. 1 or 2 goat cheese dips: Fig & Goat Cheese Dip, Almond & Goat Cheese Dip, Fig & Almond Goat Cheese Dip, Blueberry & Goat Cheese Dip. All you’re doing is placing the food onto the cheese board in a pleasing manner. You can use my photograph as a guide, and experiment. Use your favorite fruits and vegetables. Try different types of dips and sauces. Leave the peels on apples, pears, cucumbers, and the like, for added nutritional value. On rare occasion, I order Chinese from a restaurant near work. It’s not the healthiest, but it is convenient. Every time I order, they send me at least four of the spoons that are used in the photo. I finally found a good use for them! Make your own Paleo crackers. Use a recipe you find online. They will be healthier than traditional crackers. If it will be a bit before you eat, dip apple & pear slices in lemon juice for about 30 seconds. Growing grapes, celery, and carrots, or other fruits and vegetables, will save you a good deal of money. Cheese boards would be great for any celebration.